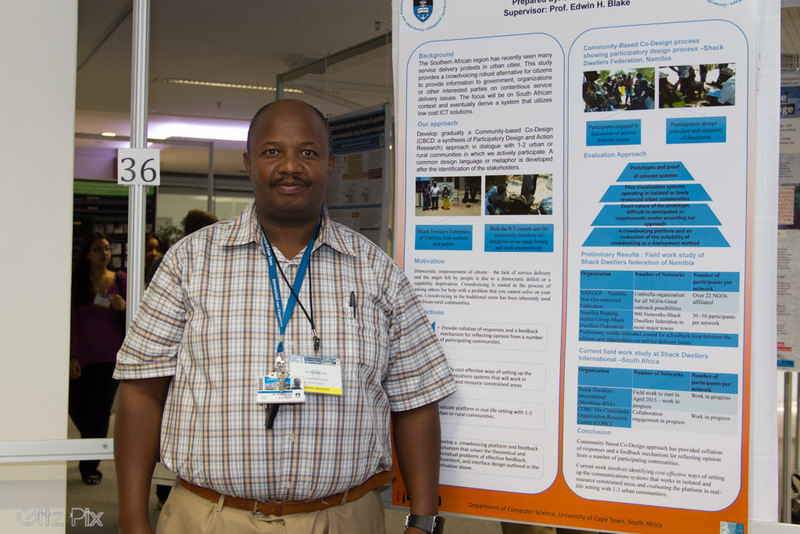 "Crowdvoicing for citizen empowerment" was awarded first prize in the Africa Specific Research Category at the Postgraduate Research Expo 2015. Researcher, James Mutuku is a PhD student in the Department of Computer Science, supervised by Professor Edwin Blake. The prize of R1000.00 was sponsored by Mckinsey and will be handed over at a gala dinner.